About Us | Jefferson Memorial Funeral Home and Gardens | Trussville, Alabama's most trusted funeral home & cemetery. Jefferson Memorial Funeral Home and Gardens, Birmingham, Alabama, established in 1949, is a locally family owned and managed Funeral Home and Cemetery. The 100 acre cemetery provides perpetual care for the 725 interments each year, complete with walkways leading to significant monuments and statues personalizing each of the gardens. Some of the sections of the gardens include; a Veteran's section for military veterans and their spouse; a Masonic section; Babyland; and the Old Rugged Cross section, where each year an Easter Sunrise service is held. Sitting inside the cemetery grounds is Jefferson Memorial Funeral Home. Built in 1985, the handsome architecture of the 10,000 square foot building adds distinctive beauty to the Gardens. The Funeral Home has a chapel with a private family entrance and seating area. The sanctuary has a seating capacity of approximately 340. Inside the funeral home are two parlors, two large lobby areas, and a coffee room for our guest families and their friends. 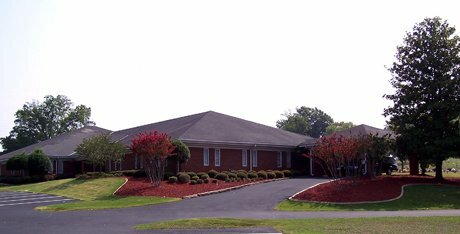 Serving the Birmingham Metropolitan and Northeast Jefferson and St Clair County areas, Jefferson Memorial Funeral Home serves an average of 650 families per year. Jefferson Memorial Funeral Home and Gardens is dedicated to providing all of our guest families in the greater Birmingham, Alabama community with the highest level of service within the Funeral and Cemetery professions. As caregivers, we pledge to treat each family with dignity and compassion. As citizens, we pledge to work with our fellow citizens to improve all aspects of community life. We always strive to treat those we serve with kindness, care and consideration.